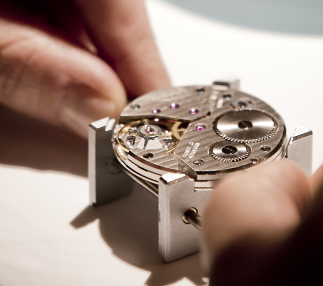 Under the guidance of watchmaking professionals, this workshop immerses you in the world of the infinitely small. From gears and springs to the escapement and balance wheel, you'll have the unique opportunity to take apart and re-assemble each and every part of the UNITAS 6497-1 movement. You'll experience the thrill of getting a mechanical watch to tick again. For more information, download our brochure . Confirm by clicking "Register now"
We look forward to seeing you at one of our upcoming workshops !